Provide proper nutrition for a lifetime of good health. Dog nutrition is an important topic for all dog lovers. By providing the right foods, you help your dog become strong and healthy so he can fight off disease as a puppy and continue to grow into a healthy adult dog. Providing healthy foods for your dog is one of the most important things you can do for your companion and best friend. If you plan to breed, providing proper nutrition is extremely important. You will want your dog to have everything she needs to support her developing pups as well as her own body. Growing puppies demand a lot from their mother when they nurse. So, it is very important to provide extra nutrition throughout the pregnancy and continue until the puppies are weaned. The puppies themselves will need a very different diet from their parents. Since dogs grow rapidly, it is important to provide everything they need to develop healthy bones and teeth, a shiny coat, a strong immune system and even proper brain development. Puppies that do not get the right nutrition typically grow up to be smaller than the standard size for their breed. They may also be sickly for their entire lives. Treats are an important part of dog nutrition as well and should always be considered as part of your dog's total food intake for each day. Just as with human treats, dog treats can be filled with empty calories that can lead to weight problems. That said, treats are a great training tool, especially for food-motivated dogs. As with regular dog food, treats should be chosen with care to be sure they offer some kind of nutrition instead of just fat and calories. 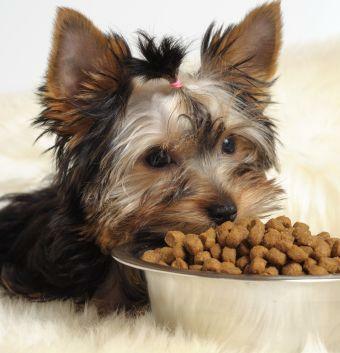 With so many types of dog food and treats to choose from, it can be hard to make a decision. How do you know which food is best for your pet? Do you want a commercial kibble, or do you prefer to make your own? Or maybe you plan to combine homemade dog food with a high quality, all natural dog food. Whatever you decide, you'll find the info you need right here. New articles are added on a regular basis, so be sure to check back often for the latest information on dog food, dog treats and recipes to help you cook for your pet. Soon you'll be an expert in your dog's nutrition.